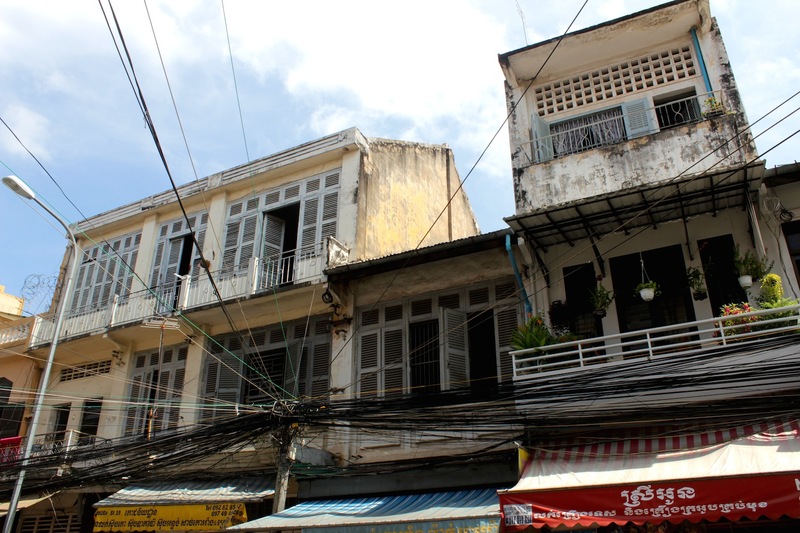 Retro streetscapes in Phnom Penh’s Old Town. What I’d thought I’d do here is to feature photos and visuals of the various landmarks and sights I recommended. So here goes. 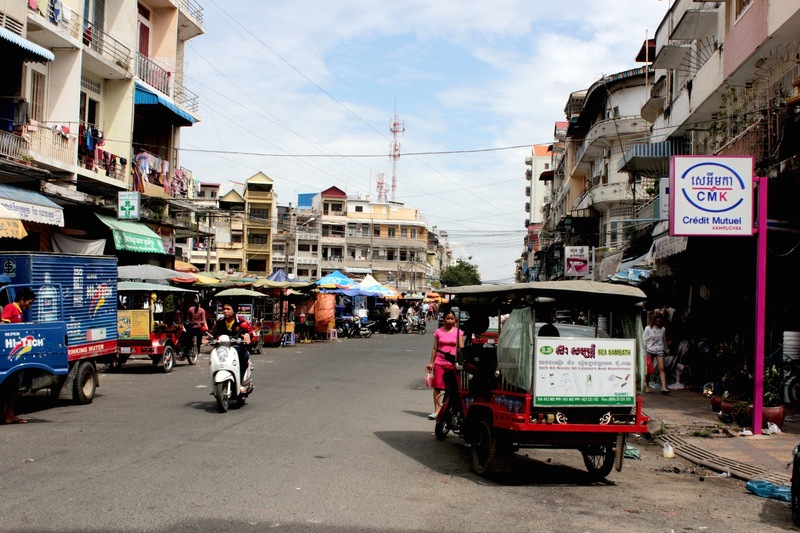 Phnom Penh’s architecture and cityscape is breathtaking, particularly in and around the city centre. 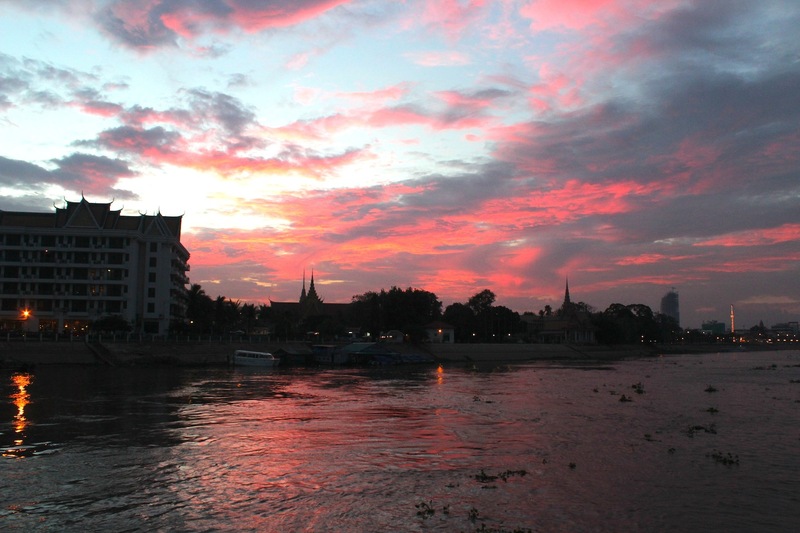 Hugging the banks of the Ton Le Sap River, Phnom Penh is also very walkable. A stroll is a good way to immerse oneself in the bustle of daily life and admire the most beautiful and intriguing buildings from the best vantage point possible — the street. Start the day off in Phnom Penh’s stylish and laidback Street 240 area, with its many colonial villas and shophouses (similar to those in Singapore and Penang) that have been turned into boutiques, cafes and restaurants today. Running between Norodom Boulevard and the Royal Palace, Street 240 is the equivalent of Singapore’s Holland Village or Tiong Bahru. 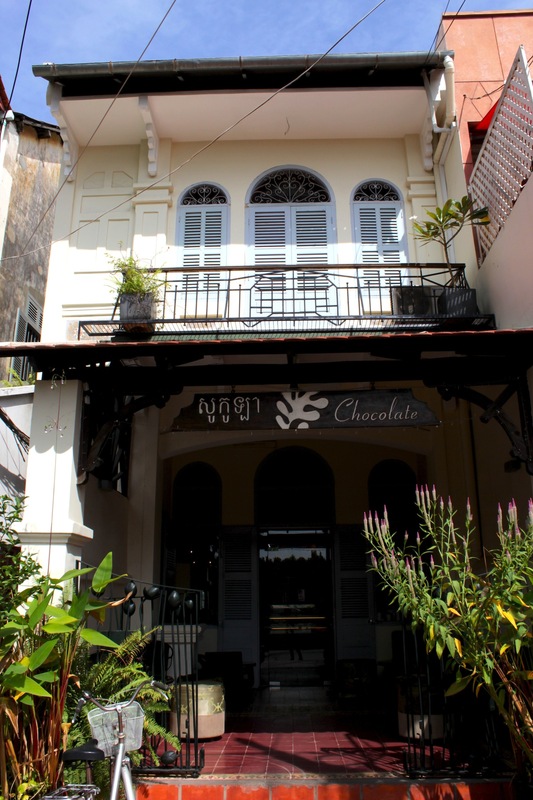 Traditional Chinese/Southeast Asian shophouse along Street 240, transformed into a cafe. Have a healthy breakfast at ARTillery (www.artillerycafe.com) serving sandwiches, salads, smoothies and so on. The vegetarian banh mi is especially good. Saunter leisurely over to the Royal Palace of Phnom Penh. The palace here, unlike the one in Bangkok, is somewhat less overwhelmed with tourists, and the queue to get in will be shorter. Highlights here include the Silver Pagoda—so-called because its floors are literally laid out with panels of pure silver – and the wonderfully out-of-place Napoleon III Pavilion, gifted by the French Emperor Napoleon III to King Norodom in 1876, when Cambodia was a French Protectorate. The pavilion was originally constructed for Empress Eugenie to commemorate the opening of the Suez Canal in 1869. 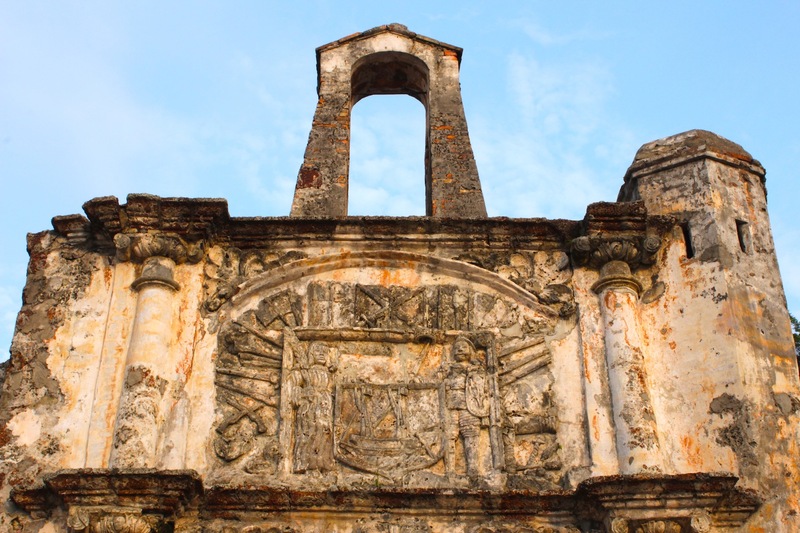 Don’t miss te stunning Reamker Murals that adorn the cloister walls of the Silver Pagoda complex. 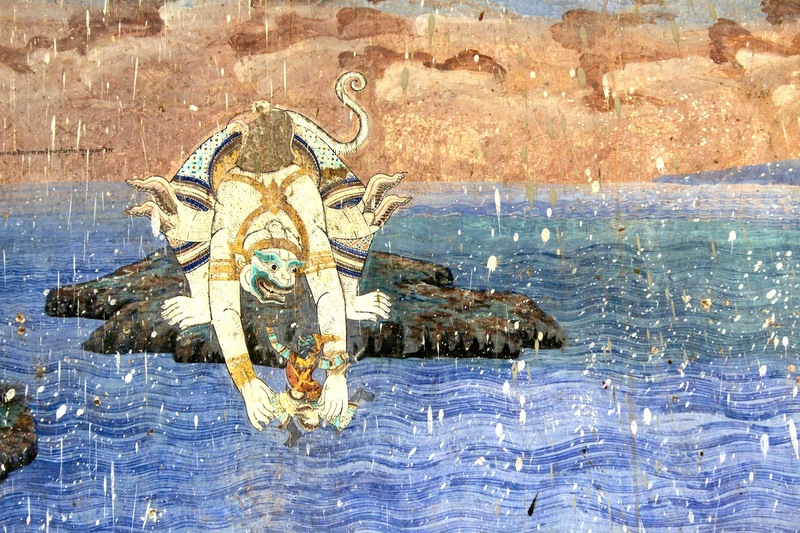 The Reamker is the Cambodian version of the Hindu epic, The Ramayana, and shows a deep-seated Indian influence in Cambodian cultural tradition. Scene from the Reamker Murals, on the Palace Cloister walls. This scene probably depicts Hanoman in Lanka. 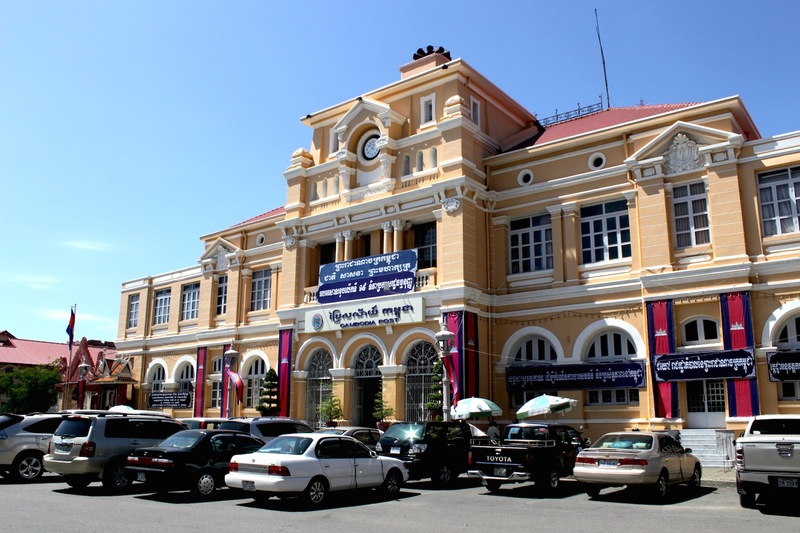 Head on over to the National Museum of Cambodia (www.cambodiamuseum.info) , situated adjacent to the Royal Palace. 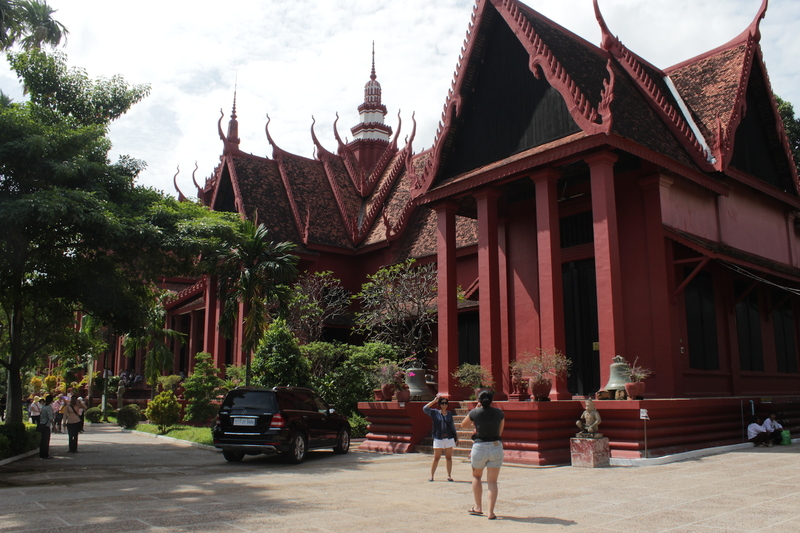 It was designed in an exuberant Khmer style by Georges Groslier, who also became the museum’s first director. The Museum has the most splendid collection of Khmer bronzes and stone statues outside of Angkor, and is a great prelude if you intend to visit Siem Reap. Walk down Street 178 to Sisowath Quay, on the waterfront. This used to be Phnom Penh’s old Quai de Commerce (or commercial harbour) and is the equivalent of Singapore’s Boat Quay. Today, it also resembles Boat Quay with its concentration of bars, restaurants and clubs. View down Sisowath Quay, proclaiming Phnom Penh’s (utterly convincing) creds as a “Charming City”. 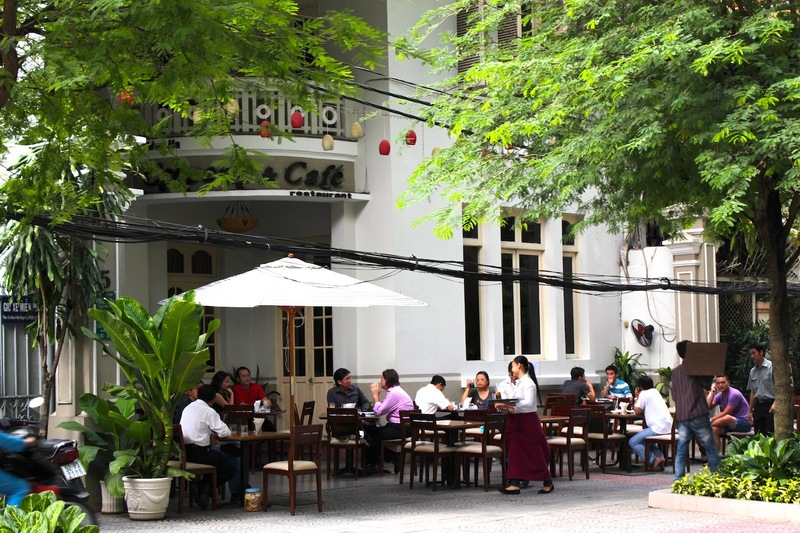 Have lunch at the famous F.C.C., or Foreign Correspondent’s Club (www.fcccambodia.com), located at the corner of Street 178 and Sisowath Quay. This has traditionally been a meeting place for journalists and adventurers, and it retains a delightfully colonial ambience and a stunning view of the Ton Le Sap River. 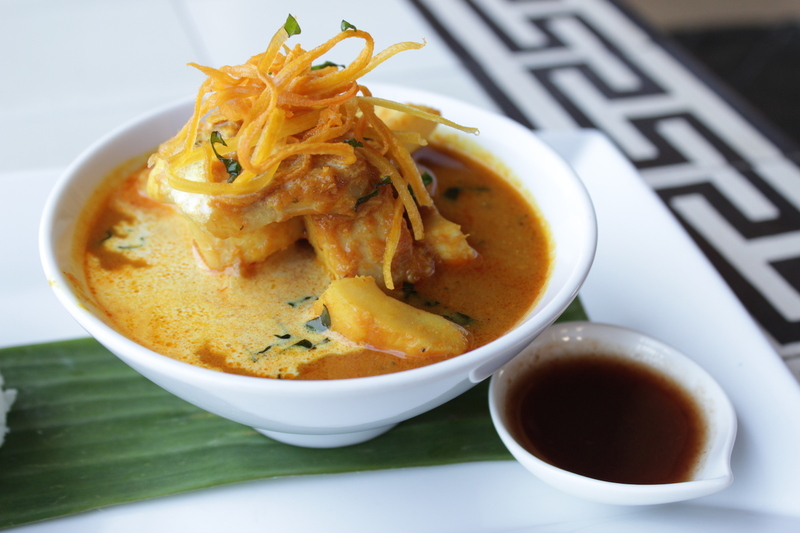 Seat yourself on the third floor, as near to the view as you can, and try the delicious Fish Amok, a traditional Cambodian dish consisting of freshwater fish steamed in coconut milk and spices in a banana leaf. Accompany your meal with Angkor Beer – Cambodia’s national brew. Delicious Fish Amok at the Foreign Correspondent’s Club. After a leisurely lunch, the intrepid wandering begins. 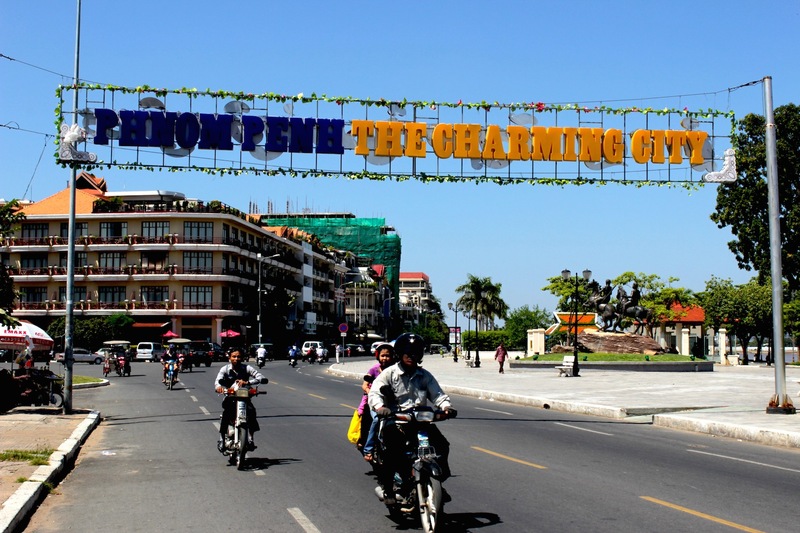 From the F.C.C., head north into Old Town Phnom Penh. 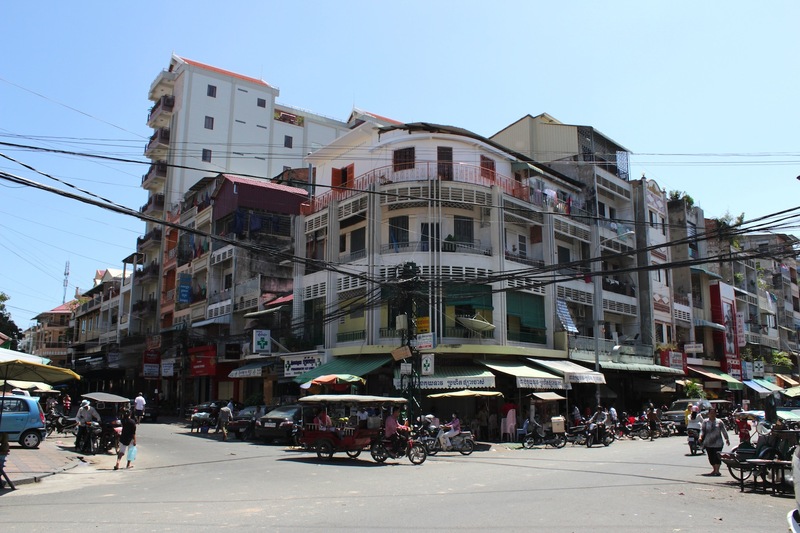 The Old Town, approximately bounded by Norodom Boulevard and Sisowath Quay to the west and east, and Streets 106 to 178 the north and south, is the heart of commercial Phnom Penh. 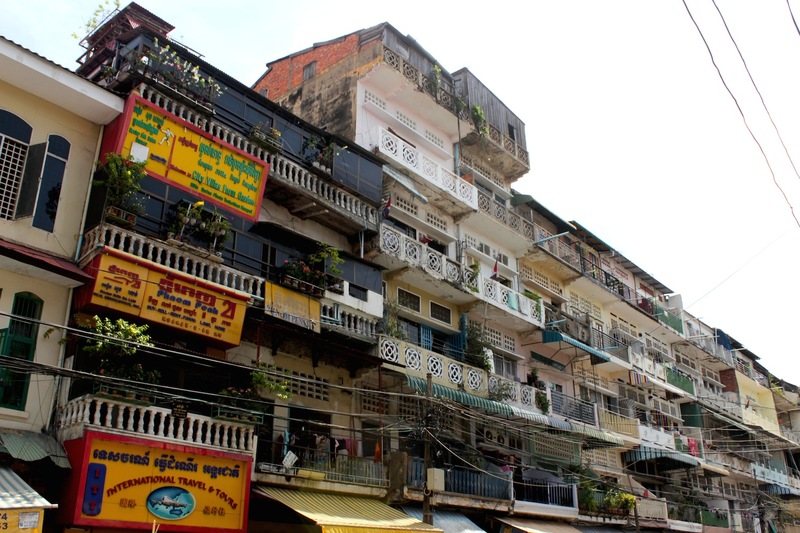 Dive right in to find the greatest concentration of 1930s to 1960s style high-rise apartments that characterise Phnom Penh’s streetscape. The city oozes retro character, akin to what Hong Kong, or Singapore might have felt like in the ‘60s. The best part of the Old Town is the fact that it is a living and breathing creature as everyday Cambodians live, work and play here. 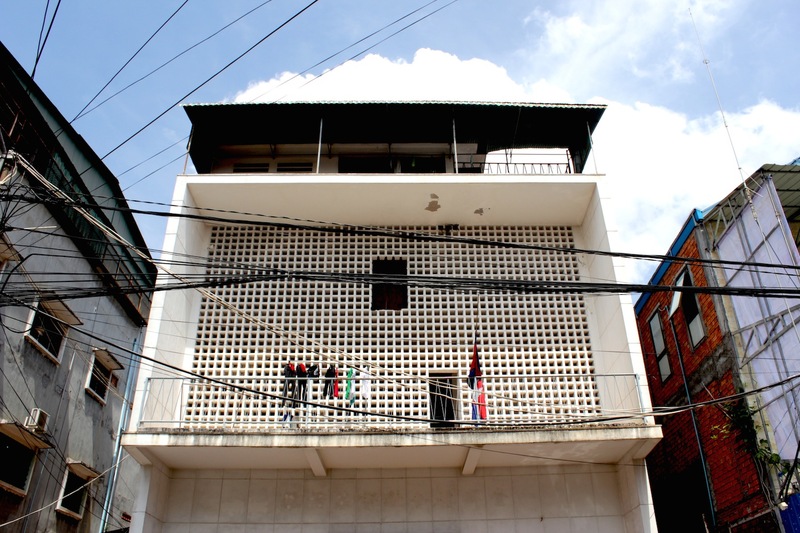 1930s – 1960s architecture, still used by everyday Phnom Penh-ers. 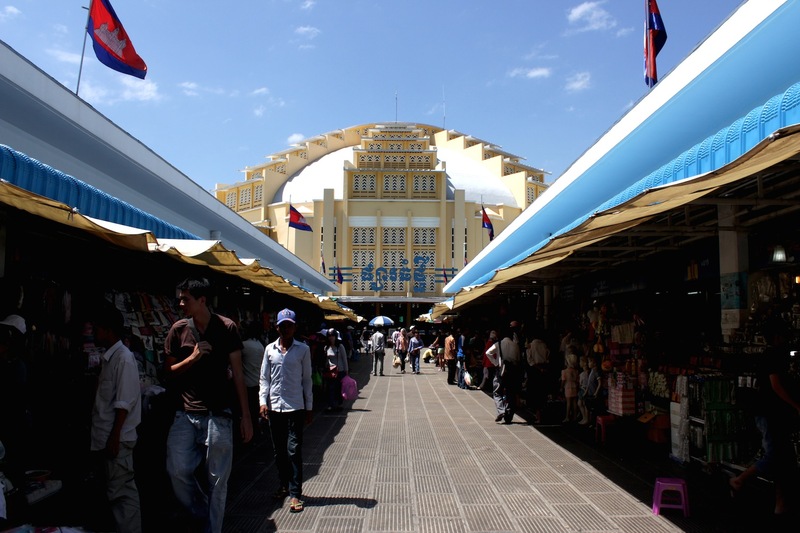 Once you’re done, take Street 130 west towards another important architectural icon of the city – the Phsar Thmei, or Central Market, which appears like a surreal spaceship in the middle of Phnom Penh’s crowded streets. The Market was built in 1937 and designed in an Art Deco style. It offers a dizzying array of goods. Lug your shopping back by hailing one of ubiquitous trishaws and head back to the hotel for a bit of a rest. The surreal spaceship-like Psar Thmei. Dusk is the best time to take a boat cruise down the Ton Le Sap River because of the stunning views this affords of the sun setting over the Phnom Penh waterfront. The typical route takes you down to where the Ton Le Sap River meets the Mekong River, and then loops back. 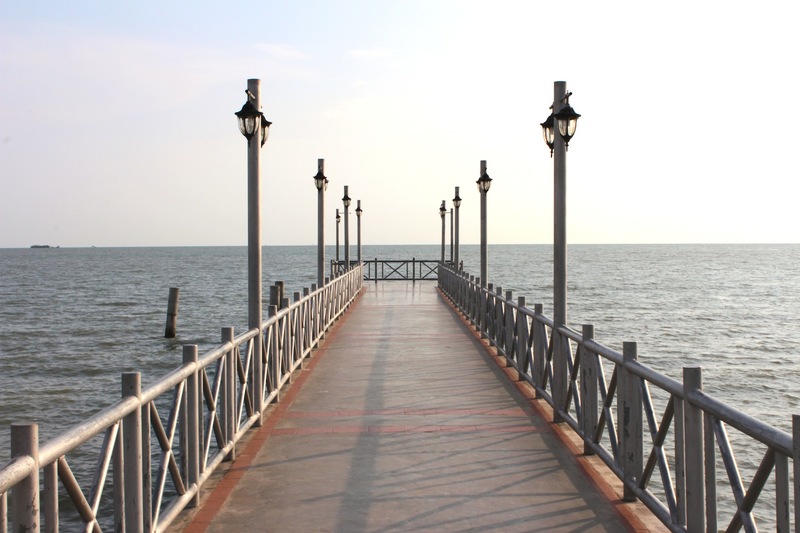 Along the way, you have a splendid view of the Royal Palace Complex, and – after sundown – a view of the hundreds of ordinary Phnom Penh-ers out dining and enjoying themselves in the many al fresco seafood restaurants and bars that line the waterfront. Sunset on the Ton Le Sap. Your hotel concierge should be able to make the arrangements for a boat cruise for you. If not, just head on down to the passenger quay (around Street 100 just off the French Colonial Quarter) and ask the many boat operators there if someone is willing to take you. Enjoy the breeze and the views the top deck. After a refreshing cruise, head back into the French Colonial Quarter and in particular, Post Office Square, located along Street 13 between Streets 98 and 102. The marvellous wedding-cake that is the General Post Office Building stands here and is beautifully lit at night. It was erected in 1890 in a French renaissance style. The General Post Office, in the French Colonial Quarter. Located to the left of the General Post Office is the former Banque de L’Indochine (Bank of Indochina) building, which today, houses the excellent Van’s Restaurant (www.vans-restaurant.com). Don’t be fooled by the name. This is actually a French fine dining restaurant, serving arguably the best and most exquisite classic French cuisine in the city. The building and its interiors have been immaculately restored. The dining area has beautiful tiled floors, dark wood windows and doors and period furnishing. Stepping inside, one feels like one has slipped back in time, to France at the turn of the 19th century. It is a magical experience. Make the Raffles Hotel Le Royal your last stop for a nightcap. This is the city’s grande dame, opened in 1929 and designed by Ernest Hébrard, who was double-hatted as Phnom Penh’s urban planner. 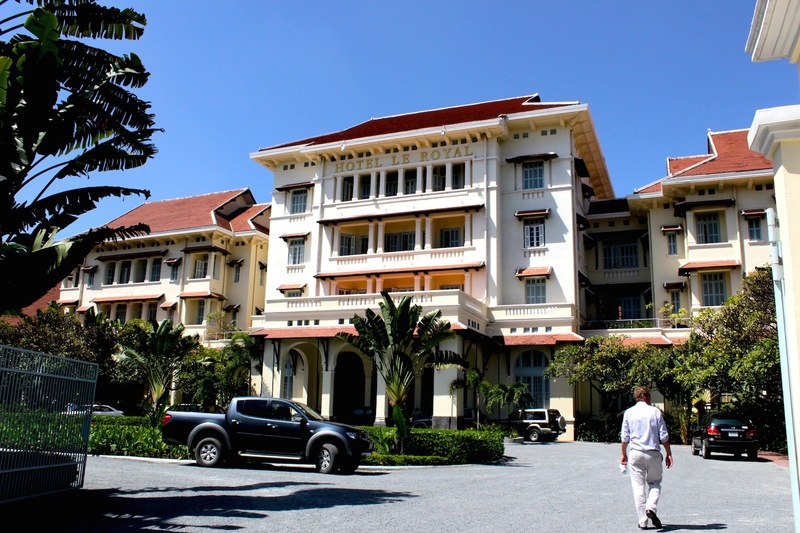 In its time, the hotel has played host to nobility, heads of state, writers and celebrities—the likes of Jackie Kennedy, Charlie Chaplin, Somerset Maugham. 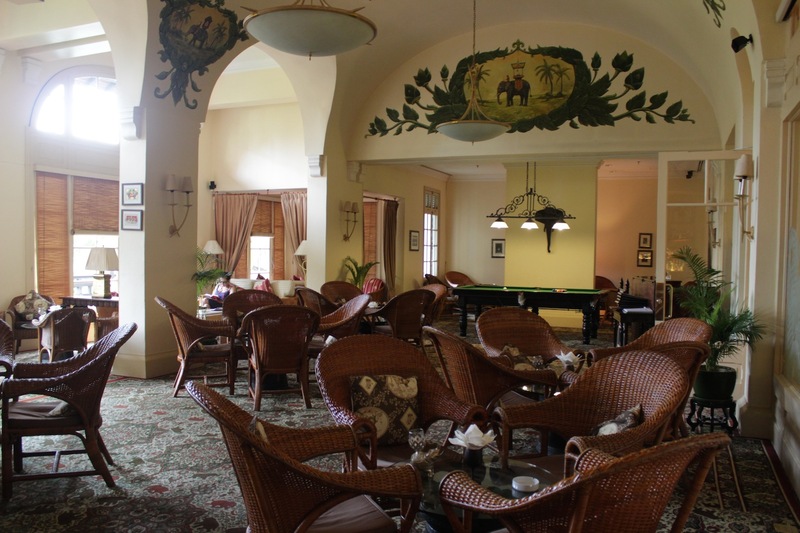 The highlight of the hotel is its famous Elephant Bar with its old-world atmosphere. Here, seated in a wicker chair beneath a lazily circulating fan, and with a gin and tonic in hand, is the best place to end a full-day’s itinerary of history, heritage and intrepid wandering. 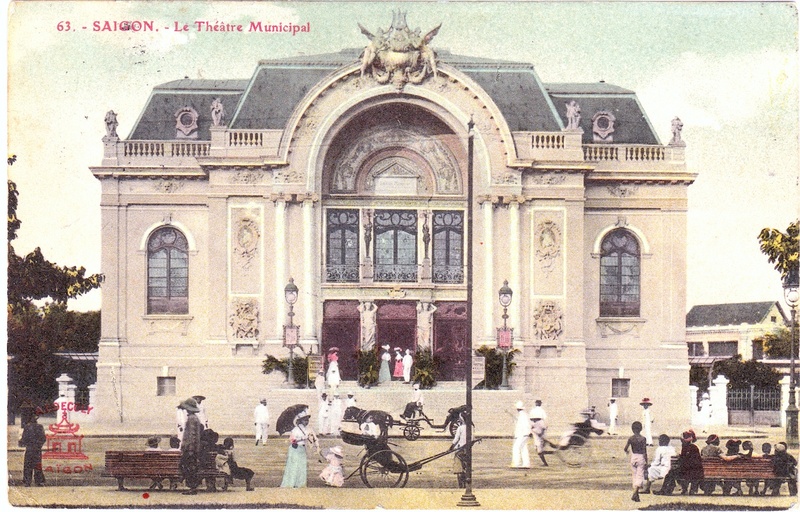 The Municipal Opera House, erected in 1897 and recalling the Paris Opera House. Saigon is essentially a French city. 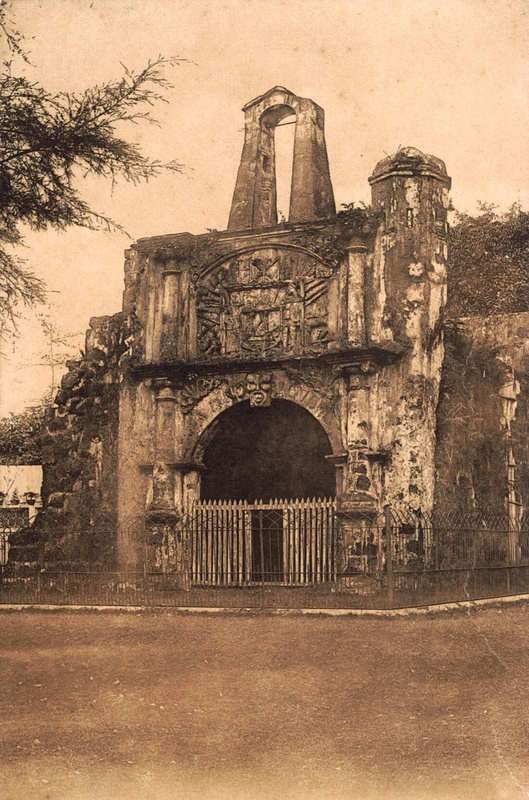 When the French arrived in the 1860s, they wasted no time in making it the Paris of the East, replacing the existing Vietnamese citadel with some of the most impressive, most French, imperial monuments east of Suez. As with their contemporaries, the British and the Dutch, the intent of French colonialism was trade, commerce and access to raw materials. Unlike them, however, the French also had one other important goal: the export of La Civilisation Française. This focus on “Civilisation” manifests itself in the presence of marvellously ostentatious (and somewhat out-of-place) opera houses that exist in almost all of France’s colonies abroad – certainly in the major cities of L’Indochine Française: Saigon, Hanoi and Phnom Penh. These opera houses took centrestage in the cities’ urban landscape, and were also the centre of the colonial social scene. 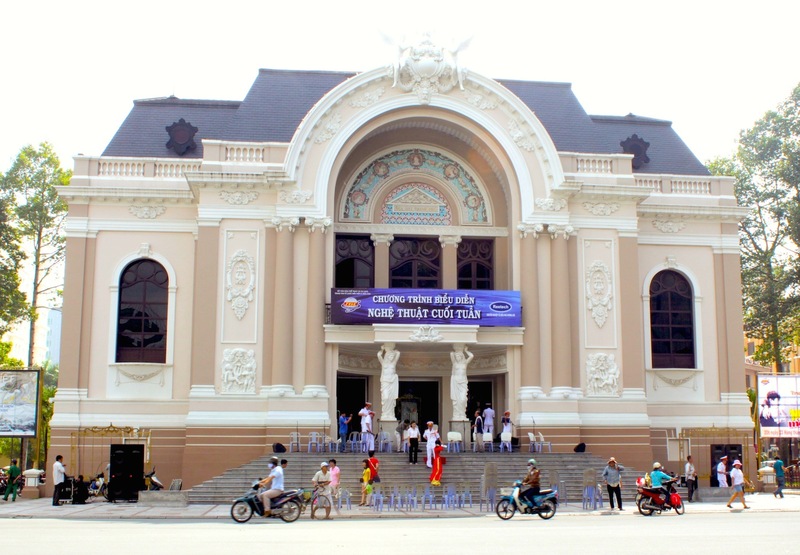 In Saigon, the Municipal Opera House sits on the famed Rue Catinat (the Champs-Elysees of Saigon). Erected in a Beaux-Arts style in 1897, it still stands today, and as the two photos (above and below, THEN and NOW) demonstrate, very little has changed in terms of the view, even if the context has changed. 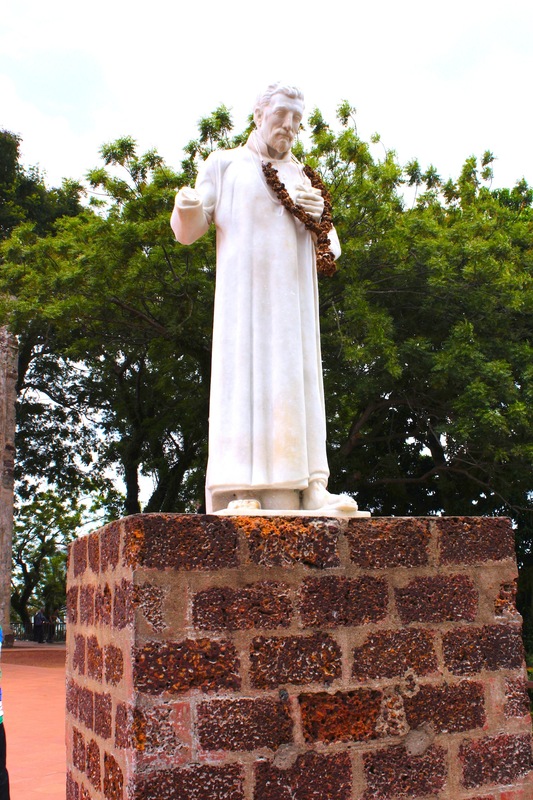 A closer look also reveals the country’s French past continuing to linger in the habits of the newly affluent Saigonese – or Ho Chi Minh-ites. As they smoke, converse and drink petites tasses de cafés et de thés in the cosy cafés that line many of the city’s sidewalks, they recall the joie de vivre et de conversation of their former rulers. 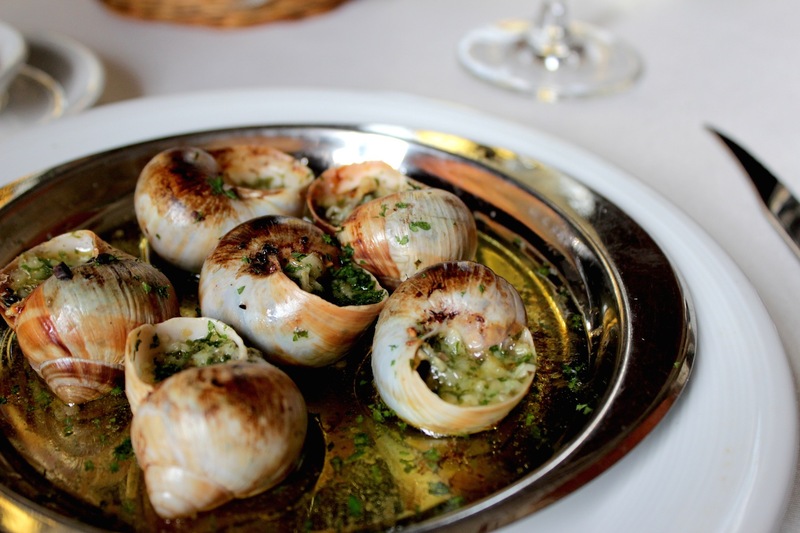 Similarly, the sight and smell of newly-baked banh mi, or baguettes, stuffed with a variety of hams, meats, cheeses and salads; the delectable confit de canard, boeuf bourguignon or even escargots that can be had in the excellent, French restaurants resuscitated in the city, is a reminder that the city’s French past refuses to go away. All in all – Saigon is alive and well in today’s Ho Chi Minh City! The Municipal Opera House today. Locals enjoying crepes and coffee at a popular café, housed in a lovely French colonial villa.